Simple ways to incorporate writing into your day will lead to increased wellness and well-being. 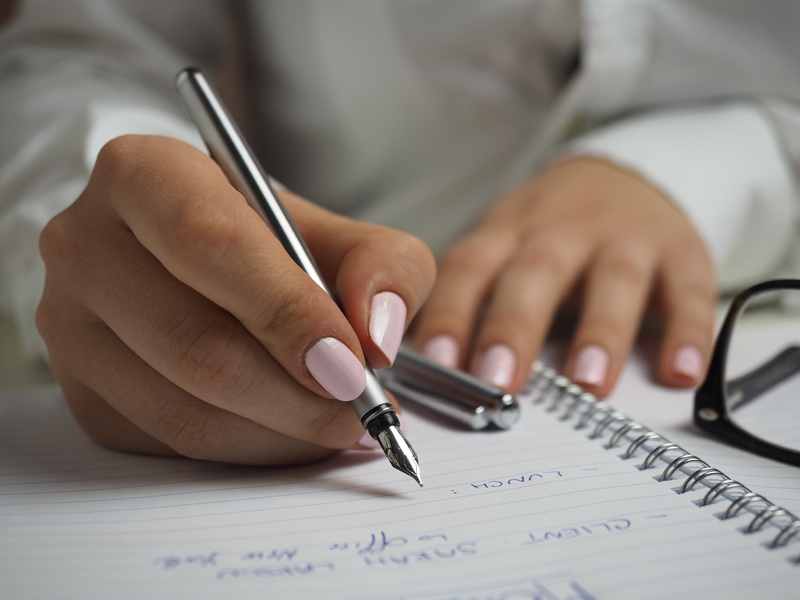 Incorporating journaling and making a practice of writing personal letters will increase your wellness and well-being. Journaling. Taking five minutes every morning to write down your goals, reflect on your dreams, and focus on your intentions, will help you to keep yourself on track. The first thing the majority of us do in the morning is grab our cell phones. We check our email, our social media, and we turn our focus onto others instead of giving ourselves some time. Changing your focus and claiming that first hour of the day for yourself is important not only to your wellness, but also achieving personal goals. Leave a journal by your bed, so it’s the first thing you see in the morning, and the last thing you do before you go to sleep. This refillable leather journal from Orvis is the perfect journal for your daily reflections. Letter Writing. These days, the “art of the letter” has turned into the “art of an email”. Writing a letter to thank or congratulate someone, or even to apologize is a powerful way to strengthen your connection with the person that you are writing to. It also gives you a chance for additional reflection, and expression that you wouldn’t get if you were writing an email. If it’s been a while since you’ve written a letter, there is a great resource, “How to Write Heartfelt Letters to Treasure” that you can use to guide you through your writing process. Picking up some personalized stationary, can also help to motivate you. Grabbing personalized stationary can help get you motivated to write. Pictured: personalized stationary from DigiBuddha. Workbooks & Prompts. If journaling is a daunting task and you are unsure as to what you should be writing about, find a journal that has prompts. These journals can help to not only get you motivated, but are a great way to start journaling if you haven’t done it in a while. Some are very simple, “fill in the blank” options, and some ask powerful questions. Tip: if you come across a question that really spurred your writing and reflection, start a list of writing prompts for the future, and keep them tucked away for when you graduate to a blank journal. Happy Grace Notebooks are a great way to prompt your writing and increase your wellness with pre-selected questions and activities. Planning Your Day. If you go to bed with your mind racing about all the things you forgot to do that day, and everything you need to remember to do tomorrow, the best thing to do is to plan your day, before you go to bed. When you leave the office, or shut down for the day, grab a piece of paper or pull up your online to-do list, and take a few minutes to get organized for the next day. It will allow you to sleep better at night, and also be more present with your family in the evening.